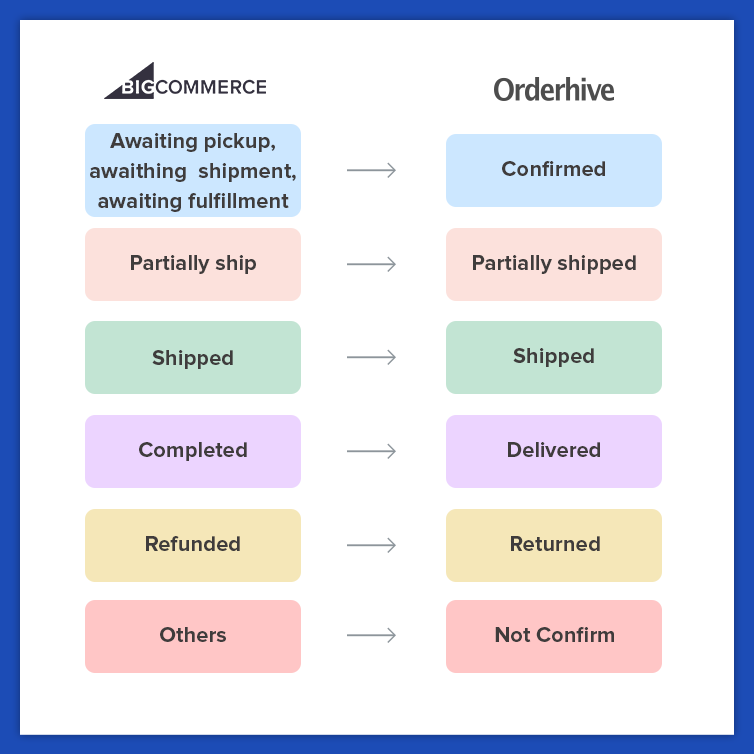 This article explains about the order, and customer details Orderhive imports from BigCommerce and what information is updated back to BigCommerce. Once integrated, Orderhive automatically syncs sales orders and customers from your BigCommerce store. During the initial sync, the below BigCommerce order statuses will be mapped and synced as below in Orderhive. 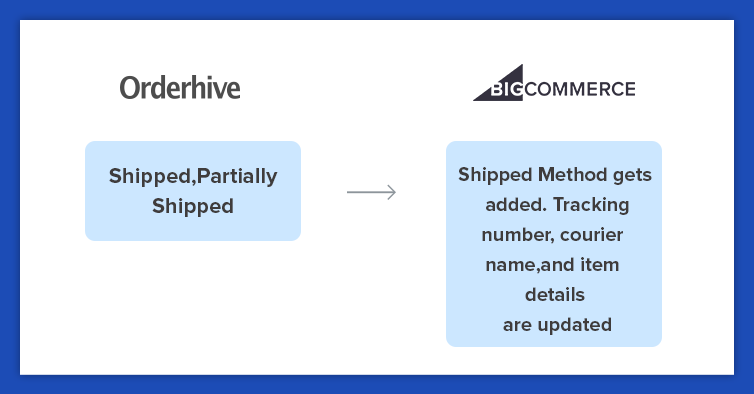 Once you create a shipment for a BigCommerce order in Orderhive, the status and the below details will get updated automatically.